Use the virtual tour on the right to walk thru the home from top to bottom. 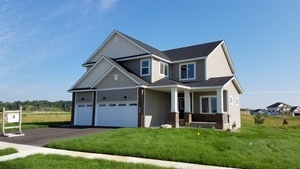 The Monterey plan is a home that has a beautiful open main level with large great room. Den on the main level. Four bedrooms and a loft on the upper level. Large master bath with walk in closet. This home has lots of space.